Imagine a population of, say, English, Greek and Egyptian communities who all speak English (though with a range of vocabulary and dialect) but who write it using their own separate scripts. Imagine, further, that some of the English people want to embellish their literary and official writing with French and German vocabulary and stylistic devices. How would you set about preparing a new translation of the Bible for them all? Ottoman Turks for the most part wrote a Turkish that was interspersed with Arabic words for religious purposes and Persian for literary finesse. Armenians and Greeks, on the other hand, who had been absorbed so fully into the Turkish empire that they had lost the use of their mother tongues, spoke versions of Turkish but wrote it in their own national scripts without any particular literary interest. 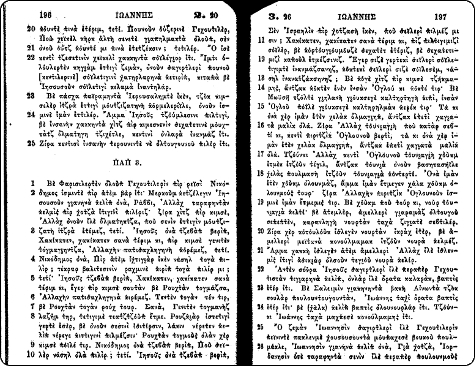 How could Bible translation work accommodate this range of Turkish used in speech and writing? Would one translation be intelligible to everyone? What script(s) would you use? At what 'level' would you try to pitch the version? A Dutch ambassador at the Sultan's court persuaded a Polish slave there known as Ali Bey to translate the Scriptures into Turkish. That translation lay unused in Leyden University until an Englishman Dr. Pinkerton, asked a Turkish-speaking Russian called Baron von Dietz to work on it in Berlin. The Baron was elderly and died before he could finish. First Bible Published. Scholars were raised up from outside Turkey and in the 19th century, Jean Daniel Kieffer, a Frenchman took up the baton; and a translation of the Bible was published in 1827 by the Bible Society. Armeno - Turkish Bible. 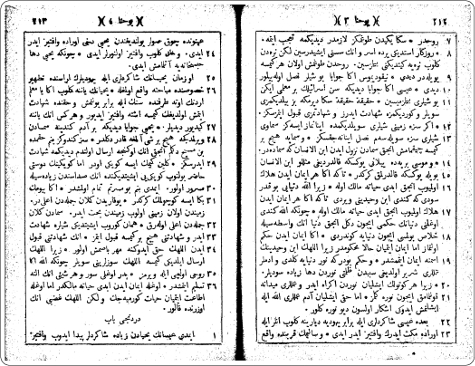 In 1823 an American called William Goodell arrived in Beirut and started work another translation (Turkish in language, Armenian in script). Producing a New Testament in Malta in 1831. He then went to Constantinople. where he finished the Bible, in spite of losing all his dictionaries; grammars, commentaries and manuscripts in the great fire of 1833. 2nd Turkish translation of Gospels and Acts. Moslem Turks became interested in the Scriptures of the 'infidels' because of Anglo-French support in the Crimean war, an interest which provoked a search for a more accurate version of the Bible than Kieffer's. A German scholar-missionary called William Schaffler, who had been Turkey for 25 years, worked on a fresh version, producing the four Gospels and Acts in 1862. 2nd Turkish Bible. In1868 a Dr Pratt did start work in Constantinople on producing a version in Turkish characters of Goodell's Armeno-Turkish Bible. There were ideas of combining the work of these two scholars but it came to nothing so the Bible Societies established a committee of translators with gifted Turkish advisors to try to produce a Turkish rendering intelligible to all Turkish speakers. They started in 1873. The work of the committee was greatly eased by major political changes. The bloodless revolution of 1876 that put the liberal Sultan Murad on the throne provided an opportunity for language reform and a brief lifting of censorship. Written Turkish became clearer and bolder, the work of the committee was intense and rapid, and in five years a fresh Turkish version of the Bible had been produced (1878). Major revision. 3rd version. There was still a third version to absorb, however the Greaco-Turkish version which Henry Leeves had been instrumental in first producing and others was revised. By 1901 this version and the 1878 version had been combined into yet another translation, which had about 25 years to run before major changes were forced on the Bible Societies. Latin script version. In 1923 Ataturk started on his reform programme, seeking to restore the Turkish language to something of its pristine nature, give it its own phonetic script, and rid it of eastern influences. Clearly the Bible had to be produced in this renewed Turkish language, and so it was, through the work of Dr Frederick MacCallum, and his son Lyman, in 1941. Some Turkish believers still read it. The Translation Trust was set up in 1984 to facilitate the translation and distribution of the Scriptures in Turkey. The aim was to support an initiative by workers in Turkey to produce a new translation of the New Testament following radical changes in the language since 1941. This translation took from 1979 to 1986. In the absence of any publisher who would publish the New Testament, the translator then established a Christian publishing house (Yeni Yaşam Yayınları/New Life Publications) in Istanbul to handle production and distribution. The Trust and YYY continue to co-operate very closely. In 1988 The Translation Trust and its partner New Life Publications joined forces with the Bible Society to work on the Old Testament and revise the New Testament. This culminated in the modern Turkish Bible which was launched in October 2001. This version has made the Bible available to be understood by a large section of the Turkish nation. The fledgling Protestant church grew in numbers and spread into a number of provinces during the first decade of the 21st century. 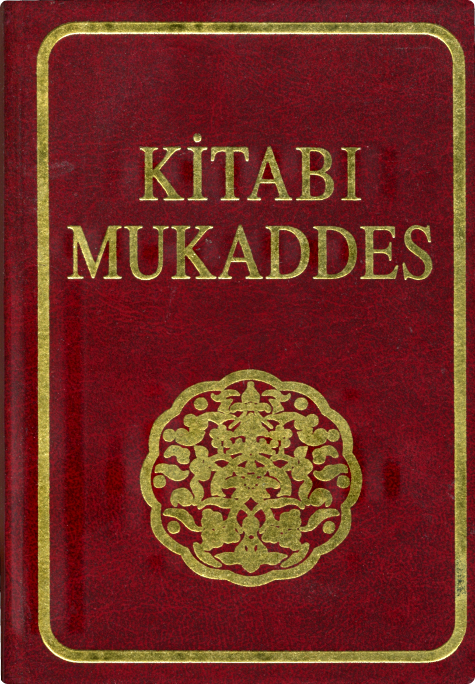 One of the major influences in this was the modern Turkish Bible.